Elaine Pichets Artistic Touch Inc.
Rather than just hiring a team to do your wedding hair and makeup, Elaine Pichet’s Artistic Touch Inc. offers permanent cosmetics that can create looks you will love for your big day and for the rest of the year too. This is one of the top companies in Arizona for permanent makeup and cosmetics because they always put the wants and needs of their clients first. For affordable prices you can have your eyebrows, eyeliner or lips adjusted to perfection. 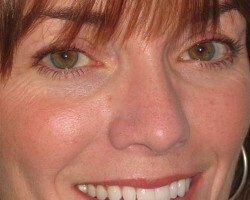 Corinna is the owner, operator and artist at Arizona Wedding Makeup. For more than 20 years Corinna has been working in the makeup industry with work ranging from salons and bridal looks to celebrity and music video work. 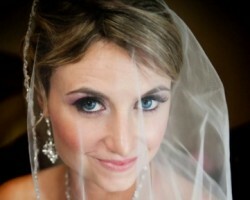 As a makeup artist in Tucson, AZ, Corinna has been able to provide brides with exactly the makeup that they want. You can request that she use a specific brand, request to look more natural or glamorous or just let her apply the makeup to enhance your features. Heather Wilson is one of the professional Tucson makeup artists that has worked in almost every niche of the industry from working with celebrities on television shows to working with local brides and grooms. This expert is able to complete the best looks because she has such extensive experience. She has a talent for what she does and a keen eye for detail. Reviews say that this combination is something that you can always count on to create a flawless and unique bridal look. I Do Hair and Makeup Artistry is a company that has been focused on bridal makeup for many years, though the professionals also have experience creating looks for television, film, red carpet occasions and photo shoots. With this kind of experience you can be sure that working with this team always produces flawless looks that would take any groom’s breath away as he sees his bride walk down the aisle. You can even request on-site custom lashes and spray tanning too. When you work with UBlush to complete your wedding day look you will never have to worry about the results being less than perfect. This company offers permanent makeup that will keep you fresh and ready for any and every occasion. On your wedding day, this is especially important. Once this team has applied your look you will be able to simply enhance it on the big day and be ready for the walk down the aisle in no time.